Heat oven to 450°F. Grease or spray 8- or 9-inch square pan. In large bowl, mix all ingredients. Pour into pan. Bake 20 to 25 minutes or until toothpick inserted in center comes out clean. Serve warm if desired. This recipe can be made in muffin cups or a corn sticks pan. Grease 12 regular-size muffin cups or corn sticks pan. Fill muffin cups 2/3 full. Bake at 450°F 15 to 20 minutes or until toothpick inserted in center comes out clean. 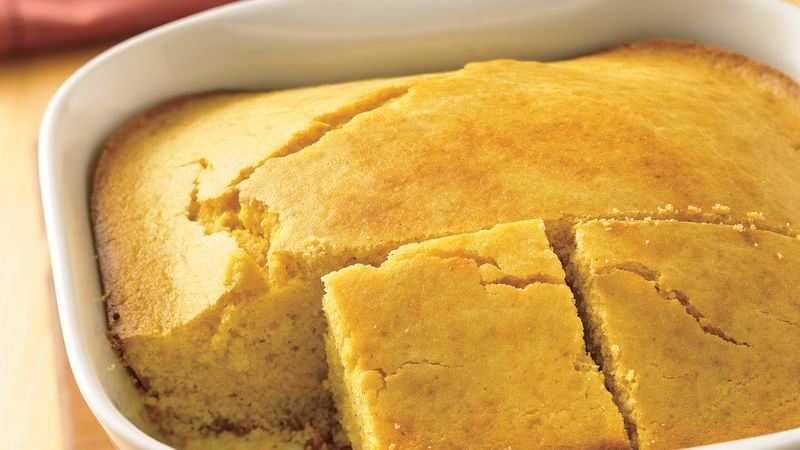 Serve this cornbread with honey butter. In small bowl, beat 1/2 cup butter, softened, and 1/4 cup honey with electric mixer on high speed until fluffy.